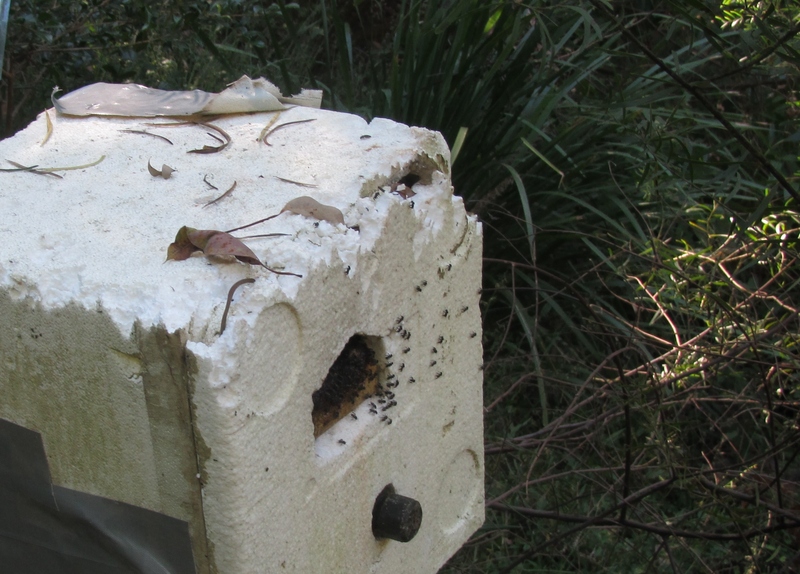 A hive of Stingless Native Bees Tetragonula sp. are a fascinating and helpful addition to your Pollinator Link garden, particularly if you are growing Macadamia, Avacado, Strawberries, Rockmelon, Watermelon, Mango, Blueberries or Citrus (Kin Kin Native Bees). Native bees are very good crop pollinators because they are very good at collecting pollen. This Stingless Native Bee already has a large ball of pollen on its legs and still collecting more. Watch the bee in the video take off with its pollen collection. 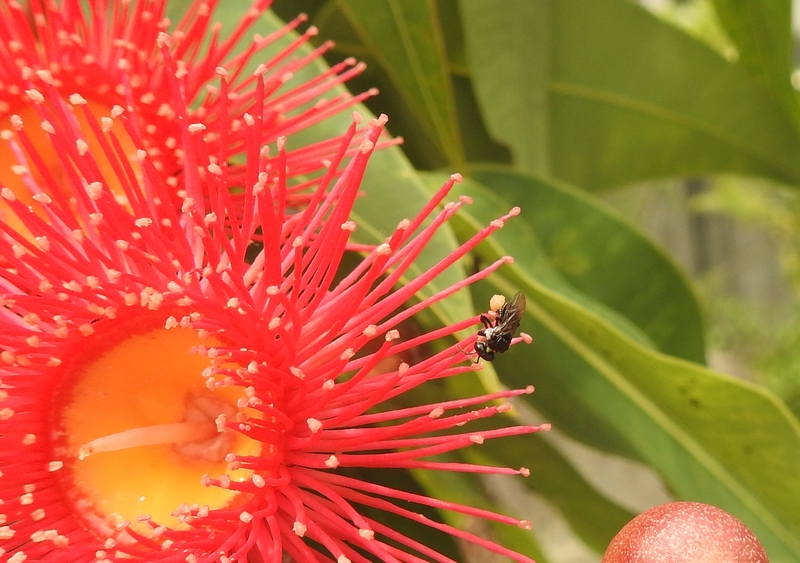 Tags: hive, honey, Pollinator Link, Red-flowering Gum Corymbia ficifolia, Stingless Native Bees Tetragonula sp.